Philippa Taylor was first lady home. Aaron Scott was king of the road again on Sunday (May 24). 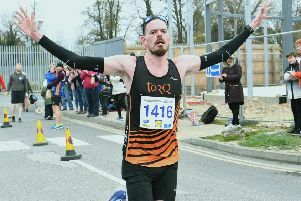 The Stamford-based runner took the honours in the Deeping Rotary 10k in a time of 33mins 40secs - 44 seconds clear of runner-up Iain Bailey from the RAF. Leading lady was Nene Valley Harriers veteran Philippa Taylor, who foinished 18th in 37:33.